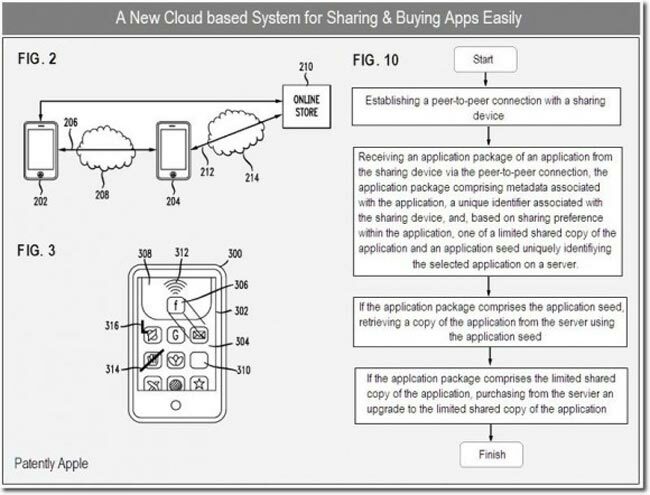 Details of Patent Application 20100312817 submitted by Apple indicates the company might be looking to enable app sharing between iOS devices. 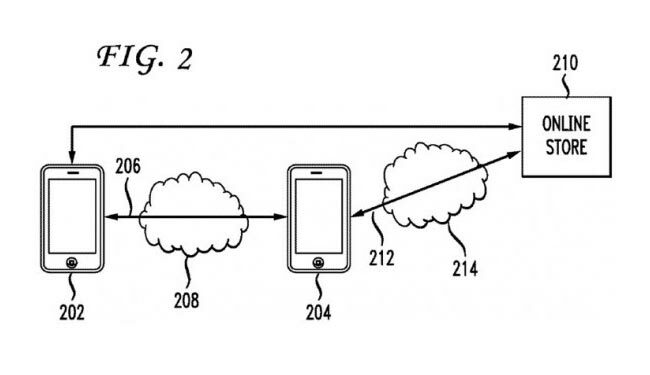 The Patent details the mechanics of a system for iPhone, iPod touch or iPad devices that could use peer-to-peer connections with other iOS devices to push across and share applications. The shared games would be embedded with codes and instructions, established by the developer, to set limitations, such as the number of times the game can be shared, how long it can be shared for, or number of playable levels while in sharing mode. Other features also mentioned included one for users who use a public or shared network, like a WiFi network at a coffee house, can leave behind the applications for future users to discover. Apple also details a method for Developers to reward sharers with a cash commission, coupon codes for future purchases, or special incentives.